SEATTLE (Reuters) - Spirit AeroSystems Holdings Inc (SPR.N), a major supplier to aircraft maker Boeing Co (BA.N), is considering outsourcing up to 85 U.S. supply chain jobs, possibly to a company overseas, according to three people familiar with the plan. The Wichita, Kansas-based maker of aerospace components notified workers in December that the supply chain work "could possibly be sub-contracted in the near future," according to a letter seen by Reuters. One source said Spirit was considering outsourcing the work to a company in India. Donald Trump, who will be sworn in as U.S. president on Friday, has repeatedly criticized U.S. companies for not doing more to keep jobs in the United States and has threatened "retribution or consequences" for companies that move operations out of the country. As a major supplier, Spirit builds 42 fuselages a month for Boeing 737 planes, and makes parts for other Boeing and Airbus (AIR.PA) jetliners. Spirit also supplies parts to major defense contractors such as Boeing, Northrop Grumman Corp (NOC.N) and Lockheed Martin Corp's (LMT.N) Sikorsky unit. Spirit confirmed that it had asked outside vendors about their capabilities and interest in bidding to handle purchase-order administration. Spirit said no decision has been made to move forward with the plan, which aims to save up to $7 million a year. Spirit's shares were up 1 percent at $57.23 in afternoon trading. Spirit spokesman Jarrod Bartlett said it was the first time the company, which was spun off from Boeing in 2005, had considering moving supply chain jobs. "It's too soon to speculate" on potential supply chain risks from the move or the future location of the work, he added. The jobs involved "executing back-end work on supply agreements" on all company purchases, he said, including raw materials such as aluminum and titanium, parts and components and office supplies. The work of negotiating supplier agreements, managing supplier performance and choosing suppliers would remain in house, he said. Outsourcing to a foreign company could complicate Spirit's defense work, and runs counter to the trend at some defense firms, said Franklin Turner, a Washington, D.C.-based lawyer at McCarter & English who represents prime contractors and sub-contractors in the supply chain. "It's a reality of globalization that companies are trying to find the cheapest rates to get work done," he said. But "companies I deal with are shying away from that practice. Anytime something like that is performed outside the United States, there's an increased risk to the integrity of the operation." Aerospace companies and other manufacturers carefully manage their supply chains to keep assembly lines running. Any hiccup in the millions of pieces Spirit handles potentially threatens production of finished Boeing and Airbus (AIR.PA) aircraft. 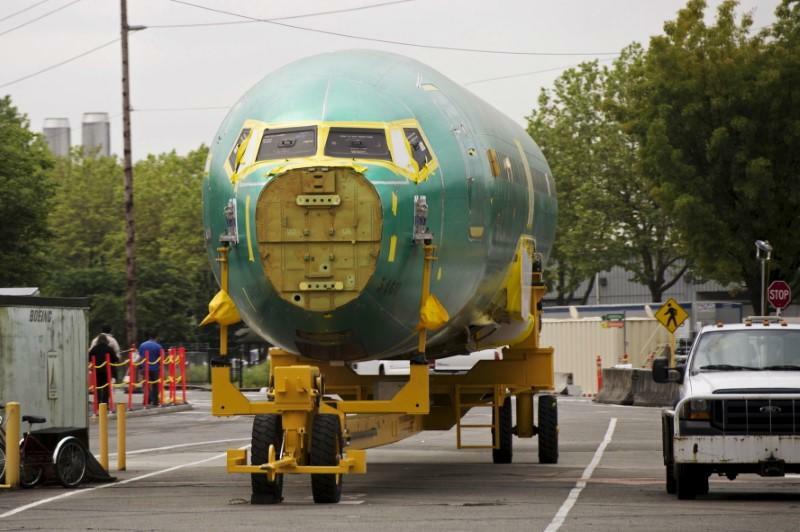 Spirit has a history of on-time delivery, but other suppliers have caused costly factory delays at Boeing and Airbus in recent years. "Spirit is operating in an extremely competitive global marketplace, and we are always looking for ways to improve efficiencies and provide value to our customers," Spirit said in its statement. In the letter, Spirit said workers had 60 days to offer an alternative plan that could save $5 million to $7 million per year. The union representing the workers, the Society of Professional Engineering Employees in Aerospace, declined to comment.